I’ll be giving a public seminar at the Wellcome Library, London, on Tuesday 5th of February at 6.15pm. Click the link below for more details, including an abstract. ‘Politeness and Pogonotomy: shaving and masculinity in Georgian Britain’ | Wellcome Library. “For a child that wets the bed, roast a mouse and give him the gravy to drink, and it will cure certainly”. “For whooping cough, take a large hazel nut, bore a small hole in one end and take out the kernel; then place in the hollow a living spider, close up the hole and place to the child’s neck. When the spider dies, the child will be cured”. These are just a few examples of what might be, and indeed often are, termed ‘folkloric’ remedies. They are taken from various Welsh sources and are typical of the sorts of animal/ritual healing receipts that commonly occur in recipe collections and through recorded oral testimony. My own academic work on Welsh medical history has tended to move away from ‘folklore’. I’ve tended to look at a broader picture, looking at the ways that medical remedies reflect a culture of knowledge exchange, and highlight transmission and the importance of social networks. As such, I’ve concentrated less on folkloric medicine per se for two reasons. First, so much has been written on Welsh folklore that it is difficult to say much that is new or objective. When I started my academic career, there was only one book about Welsh medicine that wasn’t largely based on folklore, and that was written in 1975. Second, however, I have a problem with the whole concept and terminology of ‘folklore’. Not the remedies themselves, but the ways that they have been interpreted. Why? ‘Folklore’ – a nineteenth-century term – is an extremely loaded term. It carries associations of backwardness, of quaint antiquity and almost immediately sets up an ‘other’. Folkloric medicine (I’ll stop using the single quotes now) is implicitly an antipode to regular or orthodox medicine. Until the more concentrated efforts in the past 10 or 15 years to understand folkloric medicine in a broader context (by historians such as Owen Davies and Lisa Tallis), traditional approaches were antiquarian, typified in articles with titles such as ‘Weird Welsh Remedies’ in the early 1900s, and still in local history journals into the 1970s and beyond. In one article from the 1960s, for example, titled ‘An old Welsh receipt book’, the author included several transcribed remedies but included her own pithy observations. You therefore have the first line of the remedy “Take a mold (sic)…” followed by the bracketed “(presumably a mole, poor beast! )” and elsewhere “take frogspawn in the spring” with the author’s side-splitting comment “I have yet to find frogspawn at any other time of the year!”. This is an extreme example, but it is the condescending approach that I find frustrating. There is still a virtual cottage industry of books about old, weird remedies. One effect of this is to set up a tension between academic and ‘popular’ history. People love strange remedies and, let’s be honest, some of them are indeed very strange to modern eyes. Early modern cures, such as the one for a stopped heart involving the blowing of tobacco smoke up the unfortunate victim’s bottom with a pair of bellows, cannot but be odd and, dare I say, sometimes funny. Studying these sources is great because they constantly throw up something more unusual or extreme, usually when you think you’ve seen the strangest one already. But, on the other side, there is a need to see remedies in their proper context and to see them objectively as part of a broader medical culture. By laughing at the remedies we are, by extension, mocking the people who created them, and this is neither academically sound nor fair. In fact, if we look closely at even the strangest remedies, we can often see patterns emerging which are completely logical if you subscribe to the model of the body that our ancestors did. One common ingredient in remedies for eye complaints, for example, was snails. One remedy for a web (or stye) in the eye was to impale a garden snail on a pin and let the juice drop into the eye. On the face of it this seems counter-intuitive. On the other hand, it fits perfectly well with a core belief in early-modern medicine – that of the ‘doctrine of sympathies’. Put simply, if a plant, animal or substance resembled a part of the body, then it was assumed to have healing properties for that part. 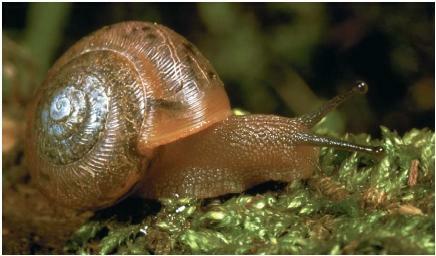 A snail, like the human eye, is viscous and slimy. 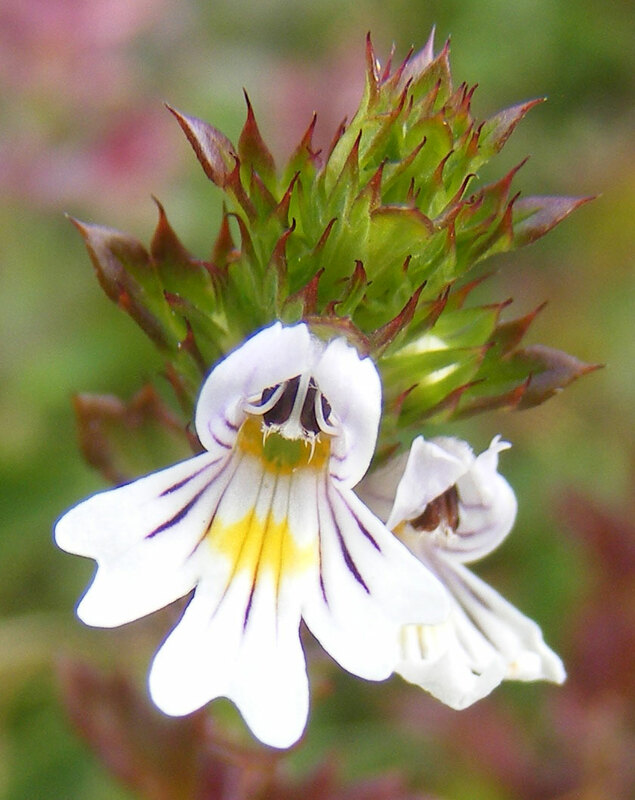 For the same reason, herbs like ‘eyebright’ were used to treat ophthalmic conditions because their leaves resembled the human eye. The use of animal products is also an important point. Anything which had once been living had important properties – known as animus. It had a vital spirit which could be applied to revivify tired or ailing bodies. This might include living creatures (e.g. cutting the comb of a live cockerel and letting the fresh blood drip over a tumorous growth, or cutting a live pigeon in half and holding it to the neck to cure goitre). At the extreme end of this belief was the product known as ‘mummy’ made literally from the flesh of desiccated human remains – sometimes hanged criminals. Animal products were not weird to people at the time; they were mainstream. This raises another question about why people used substances and products that today would be regarded as dangerous. The answer to this, again, brings us to approaches to the body and to sickness. On one level, people simply did not understand or believe certain substances to be harmful. Therefore it made sense to try a variety of different substances and especially ones that logically had some connection with healing. People adopted a ‘carpet-bombing’ approach to sickness, throwing whatever they could at their symptoms in the hope that something stuck. On another, though, a different concept was in operation about what a medicine should do. For us, today, a medicine works if it makes us better. 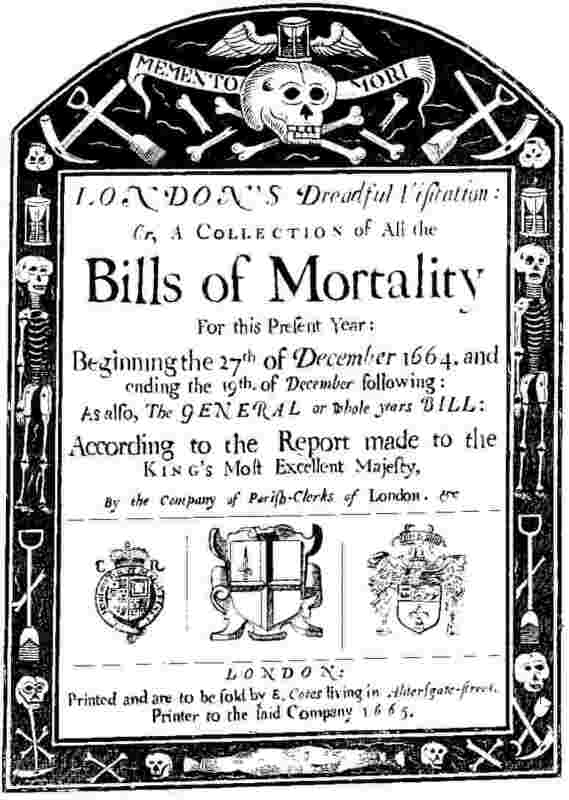 For people in the early modern period, though, a medicine worked if it had an effect. If a medicine made you vomit, then it had worked i.e. it had rendered an effect upon the body. This was part of the process of getting better. When people who had taken a particular medicine did recover, they naturally attributed their recovery to that substance. This would be subsumed into their own personal pharmacopoeia and passed on to others as a ‘probatum’ cure, i.e. one that was proved. This can be seen in the longevity of some remedies and their recurrence across many centuries. Eye recipes involving snails, for example, were still in use in the 19th century and were being reported in antiquarian articles as still being in existence. An interesting survey was taken in the 1970s of herbal remedies still in use in rural Wales, which had some evidence of long-term family use. In many cases, recipes and ingredients they provided can be readily found in early modern collections. In Mid-Wales up to the 1950s, for example, it was apparently common to use the herb rue in preparations for children suffering from worms. Similar remedies occur in several Welsh collections of the 17th century. Lungwort and eyebright were still in evidence in the 1970s for respiratory and ocular conditions, respectively, and can be traced well back almost into antiquity. Human urine was another common ingredient in the seventeenth century in a variety of remedies and, in living memory, has still been noted as having cosmetic value and also in the treatment of ear conditions. Perhaps most interestingly, in a journal article of 1906, it was reported that a Montgomeryshire woman who injured herself with a scythe went back to the scythe for seven days after and repeated an incantation over it. This bears extraordinary similarity to the so-called ‘weapon salve’ or ‘powder of sympathy’ noted by Theophrastus in the seventeenth century, whereby the idea was to treat the instrument that had injured somebody, rather than the wound itself. What stands out in most cases is the extent to which apparently ‘weird’ remedies were not an alternative to a mainstream medicine…they were mainstream. People at the time did not view things in terms of alternatives – they took a more holistic view and saw a bank of medical ingredients and approaches from which they could draw. Whilst people like cunning folk were certainly common, and used metaphysical means such as charms and spells to augment their healing, these were still part of a range of choices for the early modern sufferer. The problem comes in how to refer to such remedies. In the early modern period, while ‘folkore’ did not exist, there was an awareness of a ‘popular’ medicine and contemporary physicians referred to the popular errors of unlearned, common or vulgar practisers of medicine. There was perhaps a distinction between strictly orthodox Galenic medicine and a looser popular tradition, but the two intruded into one another to such an extent as to make the distinction almost arbitrary. Also, when physicians complained about non-licensed empiricks, this had more to do with the threat to their livelihoods than it did with concern about recipe ingredients. Perhaps the time is right for a more concentrated study – and a redefinition – of ‘folklore’ in medicine in order to remove some of the implicit condescension. These are fantastic sources and it is always pleasing to see people’s reactions to them, and also when people pass on their own family remedies to me as they often do in public lectures. As we understand more about the transmission and reception of early modern remedies, we get closer to the lived experience of sickness and of the medical worldview of our ancestors. It is also worth remembering that modern biomedicine has been around for perhaps 150 years; humoural medicine lasted for millennia. That doesn’t mean we should head for the lettuces and grab the snails quite yet though!